Finally the 8th Prince Master of all conspiracies showed up before King Wang So. He made up his mind not to let King Wang had everything. 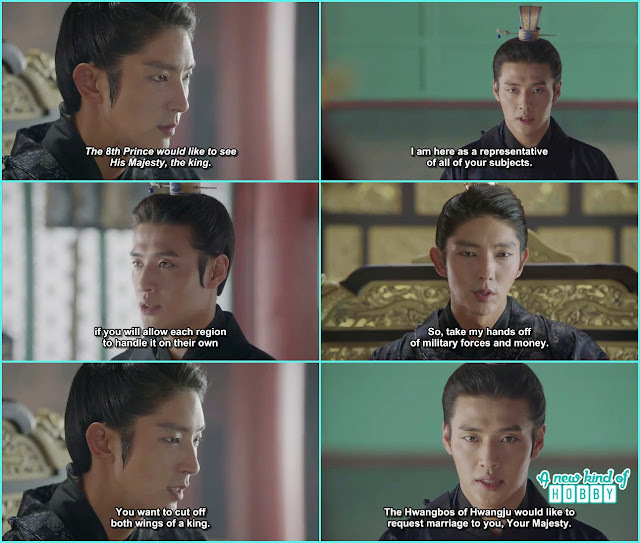 After talking to Hae Soo he again got rejected and then to take revenge on both Wang So and Hae Soo he made a deal with her sister Princess Yeon Hwa. It was about he will help her become the queen and support her. With this plan he came to meet with the King Wang So no heartly greetings but gazing like a hawk on Kings throne. He tried to blackmail king Wang So by asking him to let the province and the families held their own affairs of grain, rice and taxes so he won't be burdened. 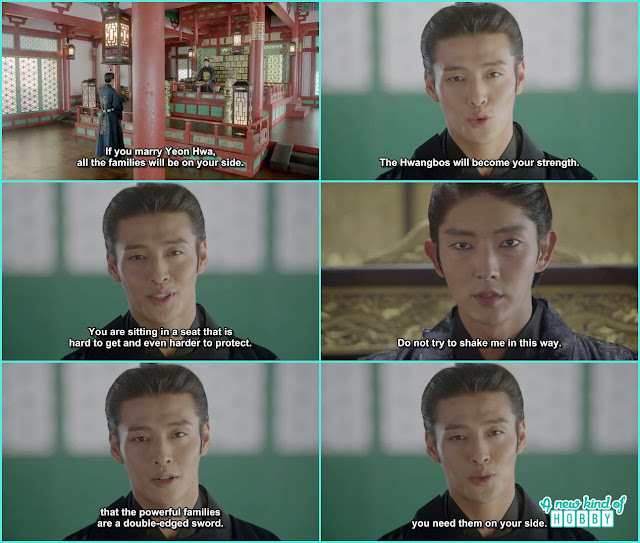 Wang So knew the nature and had a knowledge about these affairs so he quickly caught on Wook saying you want to cut the both wings of the king. Wook was too intelligent he didn't his guard he threw another card saying Hwangbo will become his strength as they would like to request to marriage to his majesty. 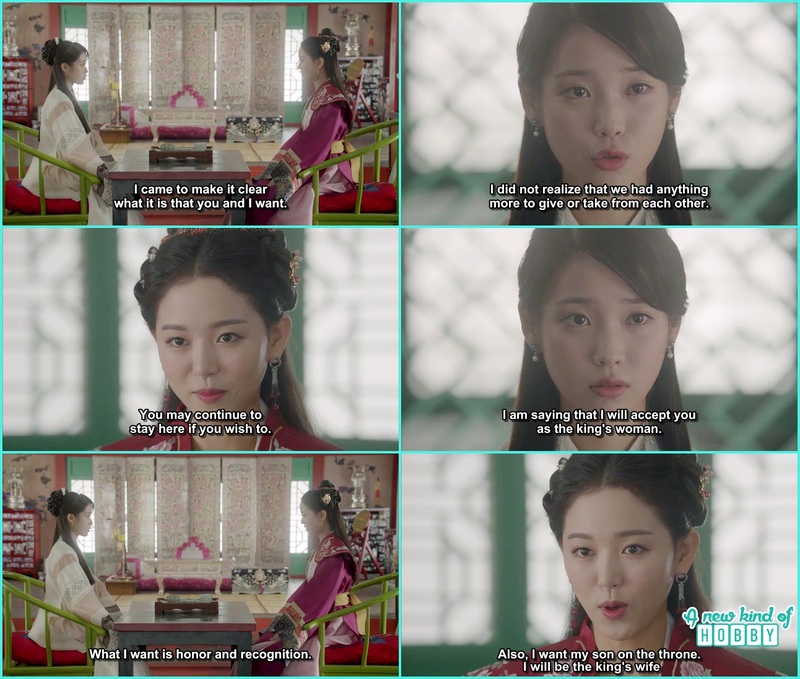 Actually he bought the proposal of Yeon Hwa to the king. 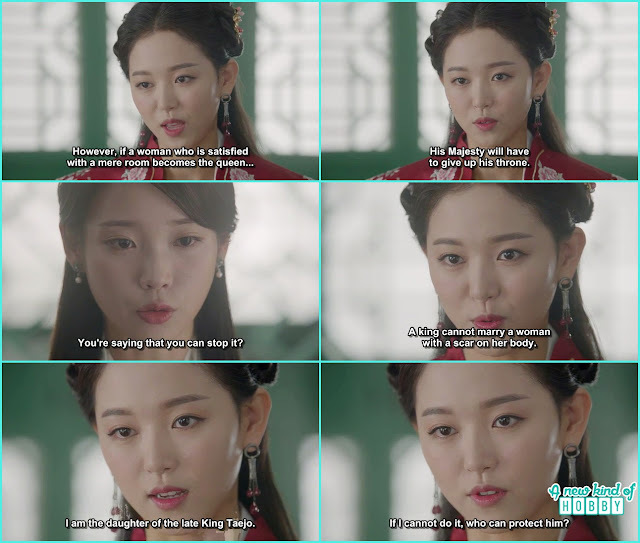 On the other hand the witchy Yeaon Hwa came to meet with Hae Soo and talk to her about the realities that she couldn't give power to the king and it will be difficult for the king to run the government. Only power can come if the king marry the powerful household. Seeing this the other powerful families will support the king on that household request. Things in Goreyo was sure more difficult and complicated then compare to now. 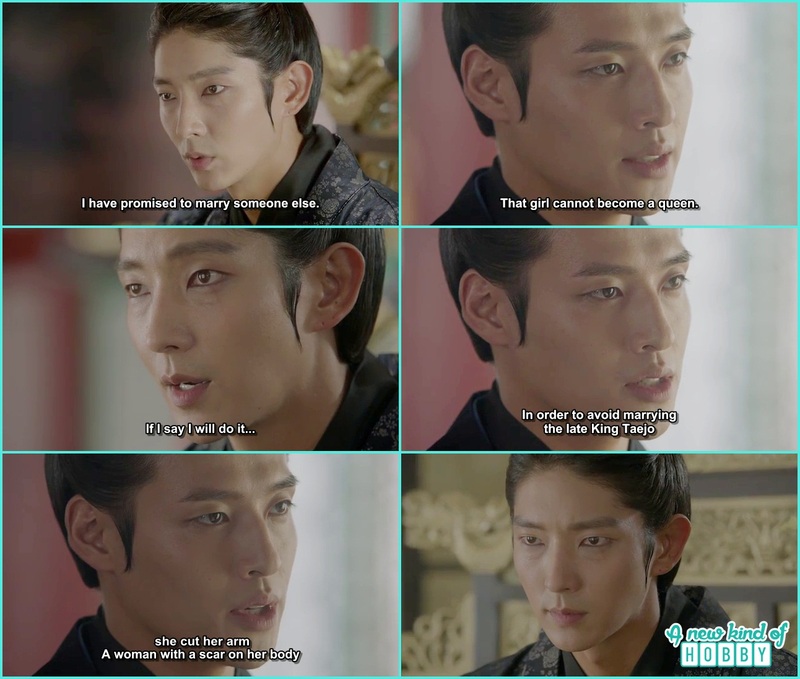 King become angry and refused Wook proposal he can judge Wook was there to blackmail him by using the powerful families. You can not run the government by yourself if the other won't favour you then you have to give up on the throne. This make us feel Wook had really the mind of devil. 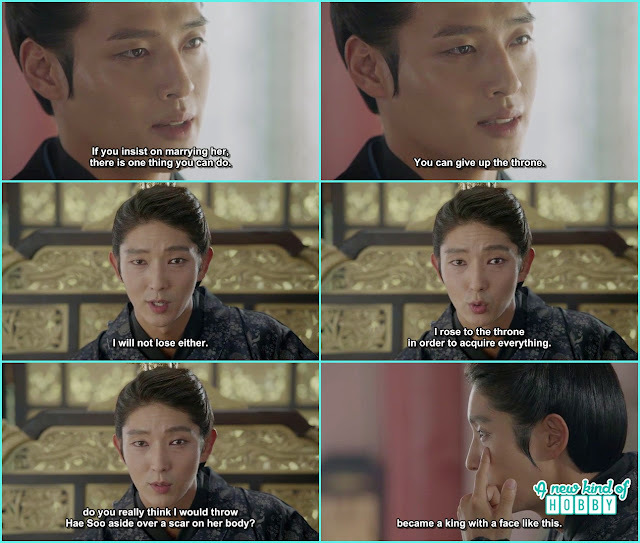 Wook didn't take a step back and argued with the king as he has some card and knew some weakness he told that the king can not marry with his will as the girl he wanted to marry can not to be the Queen she has a scar on her body. To avoid marriage with late King Taejo that girl cut her arm. Wook wasn't as simple minded as he has the sharpest mind among all the prince. We never thought he would share the secret with Yeon Hwa and told her to pressurize and blackmail Hae Soo. We were seriously getting angry on Yeon Hwa. It was Hae Soo's patience that she was dealing with her. If it was for me i just had slapped her face twice that she has nothing to do with someone personal affairs. Both the brother and sister were after the throne and trying every mean to get hold and make th eking on their side. But it was the most stubborn king the Wolf Dog Wang So who never learn to step back from what he said. He told Wook nothing matter with the scar he become the king having the scar on his face. 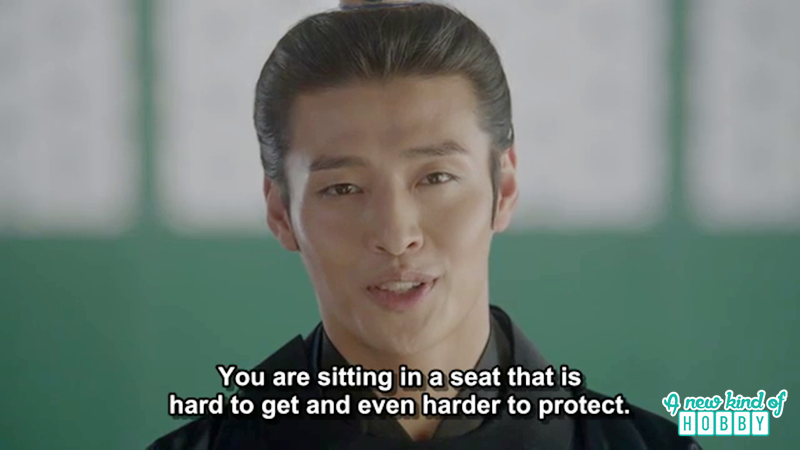 Waah but Wook was now become deaf and blind he can only has eyes to take revenge and somehow to get the throne.